Whether your platform is cloud-based or self-hosted, leverage our know-how to improve reliability, performance, security, and ROI on your infrastructure and applications. We provide 24 x 7 x 365 monitoring services—as well as software and hardware update services—to keep your data center operating smoothly and efficiently. We support a wide variety of storage solutions to accommodate high-availability, disaster recovery, backups, clustering, and virtualization scenarios. We also support and deploy all major server operating systems, virtualization solutions, relational databases, and web servers. A web server doesn’t just host your website—it hosts your reputation. We can help safeguard that reputation with an efficient and secure server configuration, rigorous penetration testing, and robust monitoring solutions. If you are having problems with bandwidth or page-load time, give us a call. With a few simple changes, our consultants can typically reduce bandwidth consumption while speeding-up page-loads—without having to purchase additional hardware or bandwidth. We can provide substantial improvements in performance without making changes to existing applications or underlying hardware. It does not matter if the database feeds a website, an application, or a traditional ERP system—we can make it better! Our experienced consultants also assist with automated report generation, professional and accurate data analysis, cross-database migrations, scheduled backups, and clustering for high-availability. If you have a large network of computers running Microsoft Windows, you owe it to yourself to have a solid configuration of Active Directory deployed. Active Directory provides centralized management of user credentials, user permissions, system configurations (Group Policy), and software deployment. Deploy applications and configurations in minutes instead of days. Implement fine-grained user-permissions to keep confidential files confidential. We can show you how. So many people fail to realize the necessity of a complete backup until it is too late. We support and maintain many different automated backup solutions to fit every need and any budget. With server virtualization, we can partition the resources of a single physical server into multiple “virtual” machines—yielding tremendous savings in equipment costs, hardware maintenance, office space, and power consumption. We can even “live migrate” a virtual machine between two separate physical servers. Live migration eliminates the need to shut down applications for routine hardware maintenance—just live migrate your virtual machine to a newer server and shut down the old one! If the application cannot leave the office, don't worry! 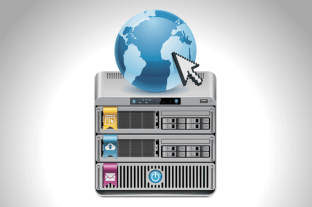 We support and deploy self-hosted as well as hosted virtualization solutions. 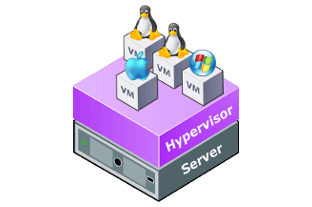 Desktop virtualization allows you to deploy virtual machines on your own Windows, Mac, or Linux desktop computer. This can be very helpful when trying to run legacy applications that are incompatible with your present operating system or OS version. Need to run a Windows program on the Mac? No problem! We can set up a Windows XP virtual machine under OS X with Parallels or Oracle VirtualBox, and you can have the best of both worlds. Full Checksumming: immediately detects and heals drive corruption. 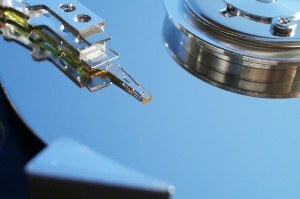 Software RAID: drive redundancy without dependency upon a particular brand of RAID controller. Snapshots: take volumes and files back in time without having to pull from offline backups. Node Replication: synchronize ZFS snapshot deltas between separate ZFS storage nodes. With ZFS, we can provide many of the features of a full SAN solution at a fraction of the cost. 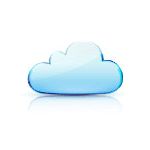 Cloud computing allows us to quickly and easily scale resources for your virtualized or containerized application. Whether it needs one processor, a hundred, or a thousand, only pay for the resources that you need, when you need them, with a hosted cloud solution. If your organization has a growing need for storage and storage up-time, it may be time to consider deploying a storage area network (SAN). Dynamic Provisioning: expand storage capacity without down-time or interruption of service. In-Node Redundancy: certain SAN devices have redundant controllers, drives, and power supplies to prevent single-point-of-failure scenarios. Node Replication: allows for live mirroring of separate storage nodes across the SAN. Disaster Recovery: node replication between different physical sites prevents data loss in the event of a catastrophe. High Availability: automatic fail-over to a redundant storage node in the event of node failure. Load Balancing: specific SAN solutions allow for intelligent load balancing of storage operations—highly-accessed files are moved to faster drives, rarely used files are moved to slower drives. Our consultants can craft a solution to meet your exact storage needs.